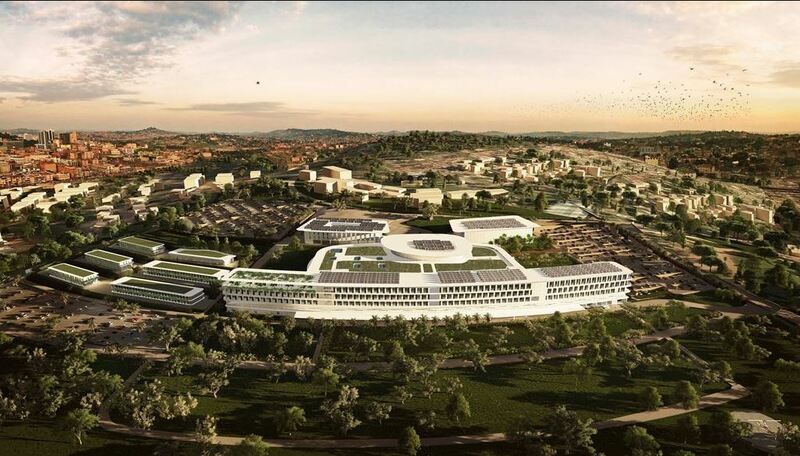 PARLIAMENT – Legislators on Parliament’s Committee of National Economy were on Tuesday shocked to discover that the government has inflated the cost of building the International Specialised Hospital in Lubowa, on Kampala-Entebbe road. Government seeks to borrow $379 million (Shs1.4 trillion) for the specialized hospital that the state says will handle complex cancer and heart diseases, including catheterisation, brain, and neurosurgery and organ transplant. On Tuesday, ministers David Bahati (State, Planning) and Jane Aceng (Health) appeared before the MPs to defend the project cost of the hospital. Mr Bahati explained that the loan is to act as a guarantee through a promissory note to the investor during the construction of the project. He also argued that the facility will save taxpayers’ back from footing expensive bills abroad. However, the MPs were perturbed when they discovered that the actual cost of the project is $249 million (Shs915.3bn) and not $379 million (Shs1.4 trillion). According to the estimates, about Shs470b of the loan is the investor’s profit. Bukuya MP Michael Bukenya questioned why government was more concerned on a facility to be utilized by able citizens some of whom are in high government positions rather than deploying the money on health facilities in the countryside. Dr Bukenya insisted that capacity should be built in lower health facilities to handle medical cases at earlier stages before they require complex specialized diagnosis. “Whereas the idea for an international highly specialized hospital is good, I would suggest we put a precondition for government to first equip the health facilities in the districts,” Dr Bukenya said. However, Mr Bahati said government has already made a commitment to the investor, and default will attract litigation in a London court for arbitration. Ms Betty Nambooze (DP, Mukono Municipality) asked the ministers to explain why the government committed itself without assurance of Parliament. She also demanded answers on what the investor would be bringing on board if the government has chosen to fully equip her. “To an ordinary citizen, when you say an investor is coming, and you are giving them land, and money for construction and equipment and he or she is going to collect money for eight years, are we paying for an idea, what is the investor investing?” asked Nambooze.